Chinese pistache is on some lists and not on others. This recent news release about invasive plants caught my attention. In looking at web sites about invasive plants, two things jumped out at me. Several years after an invasive species ban was created in 2005, Texas is beginning to crack down on the sale and distribution of the plants. And due to the plants being listed broadly by species, confusion is arising, says Jim Reaves, Texas Nursery & Landscape Association’s director of legislative and regulatory affairs. Two Texas departments have authority to enforce the ban, Texas Department of Agriculture (TDA), which focuses on non-aquatic noxious species, and Texas Parks & Wildlife, which focuses on aquatic plants. Both departments have overall enforcement power, and in the TNLA member case, it was the latter that fined the grower for carrying loosestrife. The business or person who sells, distributes or imports a banned plant commits a Class C misdemeanor and up to a $500 fine per plant. The USDA has some really good information on invasive and noxious plants. 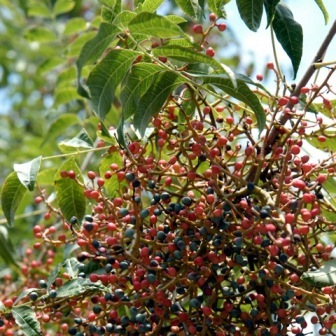 Here’s the web site for the information from your state: http://plants.usda.gov/java/noxiousDriver. A guide Nonnative Invasive Plants of Southern Forests is now available free from the U.S Department of Agricultural at this email address: pubrequest@srs.fs.usda.gov or call 828-257-4830. The most invasive plants in my yard continue to be houttuynia, cashmere bouquet, bamboo and wild strawberry. I can’t avoid the admission that I planted all these plants and at one time thought that using them was a grand idea. We DO continue to learn. By the way, the false strawberry is gone from the turf thanks to the Crabgrass Control organic herbicide from the Garden Weasel Company. Please forward this newsletter to share with everyone in your address book and all your friends on Facebook and Twitter to help me spread the word on organics.